too many dogs and cats. They generally were all been for very legitimate reasons..Cancer ( 4 patients), Paralysis, Bleeding Disorders, End Stage Kidney Failure..etc.. It seems that more of this happens during the Holiday Season. their pet and how they are feeling. given narcotics for the last month of her life to keep her comfortable. But the point is to respect this right- AND not treat it frivolously. 1. Eating and Drinking. Is your pet able to eat and drink normally. I knew it was time soon. 3. Activity levels. Can she still go for walks? 4. Housetraining. Has your pet lost bladder or bowel control? 6. Does your pet have a terminal illness such as Cancer? OR do you want just palliative care? this in the best interests of your pet? to have a 3rd party. 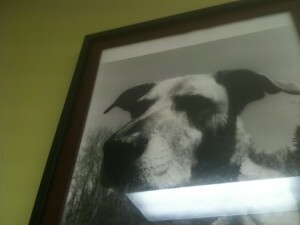 deep sense of loss than when my last dog Hoochie died. Thank you so much, Dr Jones, for the article on Euthanasia. My miniature Sheltie, Megan, is 12 years old and becoming an ‘old lady’, so I know time is running out. Your advice will help me decide when the time is right, although when you love your pet dearly, the time is never right! A friend recently had her dog put to sleep and her vet told her something I shall never forget. He said, if the dog was out in the wild, she would know her time had come and wander away to die. However, she is not in the wild, is dearly loved – and loves her owner(s) so hangs on for their sake(s). This means we have to make the decision for her. With your advice, this should help although I agree with you that the saddest day of my life was when I had Honey put to sleep. It will be another when Megan has to go. The answer is to get another – but nearing, 80, I feel I am too old. However, I intend to find one I can ‘borrow’ to take for walks and fill the massive void. Deep down – most of us know when its time to let go of a beloved pet. I have lost 3 pets through the years – and I was lovingly holding & soothing them as they left this earth. I have great compassionate vets who help the owners and pets transition to the end. So sad to lose a faithful loving pet – but I can’t bear to witness my pets in pain and suffering. Saying goodbye is very dificult – but they need to be with their owners and be able to know that they are loved – to the very end. Thank you for posting the 10 thoughtful suggestions – they will help someone who has never had to put a pet down. Good job!!! The one time I had to deal with euthanizing, the dog was a 10-year old (almost 11) chocolate Lab who had been surrendered by the dog’s owner (reason unknown). I volunteered for the afternoon dog walks one day a week. I remembered that once I forgot to wash my hands after walking another dog. The chocolate Lab caught kennel cough and had a difficult time recovering. Over a period of about a month, the Lab got progressively worse and the shelter’s vet made a decision to euthanize the poor Lab. When I read the email communication, I broke down because I remembered the time I specifically forgot to wash my hands and wondered deep down if I was the one responsible. Since that time, I am very careful about washing my hands, but seeing a chocolate Lab, just any chocolate Lab, brings back the Lab at the shelter that I walked until the day he died. May he rest in peace. So when a veterinarian or other owners make a decision to put a dog down, I now know the wrenching feeling they have; for vets who make the decision every day, it must be heart wrenching and I applaud them for continuing to care for animals. Thank you Doctor: We have been through this several times before and now our 18 year old cat is showing all signs of diabetes; I am treating her holistically without the insulin due to financial hardship at present and due to her hating to be handled by any one on their terms, not hers=she rages if fussed with! She has had no health issues for 18 years until now, praise God! We have several pets in Heaven and the day will come when another decision for sending our “child” back to God will have to take place. Death is the hardest thing about life; BUT, we know our Awesome, Awesome God will give them back to us to love for eternity once we are in Heaven; that is what Heaven is=PERFECTION, NO MORE DEATH! Thank You Jesus for dying for all of us and giving us eternal life or this life would surely be unbearable! A timely thought for us as our precious Kozmoe is 15 1/2 and is slowing down. He is still relatively active, goes for his two daily walks and has no sign of kidney problems. He has his play time at evening time after supper. I will be with him until his final hours as I could never leave him alone to pass on. Thanks for the info! I have only had to make this decision once, and it was honestly one of the toughest ones I have ever had to do. It made me feel like I was playing god and it wasn’t right. I agree with some of the other comments, and the time is NEVER right. It has been over 8 years since I had to let my beloved Boxer Baron go to the rainbow bridge and I cry every time I write or think about it. He had pancreatic cancer and I knew he just couldn’t take it any longer when he couldn’t go for his walk, and he just looked at me sadly and gave me a gentle kiss on the nose. We both knew at that time. Now my American Bulldog Dozer, who is 6, is fighting MCT and I hope that I don’t have to make that decision again. You think that you will never get another pet after making the decision to do this, but you will because we have BIG hearts. That is why we are here posting about it. Thanks Doc. . you have a big heart as well! my rule for the end of my animals life is quality of life. If they don’t wag their tail, no matter what, then it’s time. I have 2 dogs that will be 12 at the end of September; one has had MVD since the age of 8.5 yrs and lung cancer at 9; his sister has had a protein intolerance since birth, and it flares up when she eats poop or frogs outside. I thought she was near the end when she was refusing to eat and pooping blood and what looked like either vegetation or frog bones, but the interim vet was a holistic one, and she gave me Nutrigest, and what a difference it has made… she no longer stays out to eat poop and she is back to her old, younger self. http://www.goldmali.co.uk/rufus.html and read about Rufus. Thank you Dr. Jones for this article on euthanasia. It came straight from the heart and your experience. I’m sorry for your loss of Hoochie, too. It is hard when someone we love is ready to die. Being attentive and watching the signs is really important – our animals let us know when it’s time. The only things I’d add to your article are to stay with the animal during the process, and to let yourself grieve afterward. There are online and in-person resources to help people through the grief of losing an animal companion. Thanks again for your article. I encourage everyone to consider another alternative, or at least an adjunct. I have done Hospice Care with my last two dogs, and I consider each experience to be among the highlights of my life experience. There is no one that loves their dogs more than I, that is certain. And their loss still grieves me daily. But the experience I had to be fully conscious with them through their illness and dying process in beyond I have ever experienced. It was very painful, especially with Rumi, who died from a horrible cancer in his face. But it was my pain mostly, watching. Rumi stayed himself, rolling with the punches, and accepting what seemed just horrific. With both dogs, I spent hours just looking into their eyes. And they each died in my bed, in my arms. I think it is important to distinguish from my pain and my pets pain. It is usually the humans. Animals do not judge their pain and live in the moment. Hospice isn’t necessarily a substitution for euthanasia, you may still make that decision, but perhaps in a very different way. 25 years ago, I had a very old dog who suffered a stroke or something like it. His body no longer worked and he tried to leave home and die under a tree. It did not happen and I finally found him when he was dehydrated and really suffering. I told my story to a local pharmacy and he was kind and gave me a small amount of either. I administered it at home as we both enjoyed our last sunset together. Is is possible to obtain either or something like it for when my current dog who is about 14 needs assistance? Given the state of society,I am afraid that the pharmacy would say no. I live 40 miles from town and don’t want to bring him to a strange weird smelling place to die. Home is where he belongs, and I will take good care of him until he is done. Thank you so much for being such a compassionate person. Thank you for caring enough to share a great deal of your experience with us. Your love of all animals is very evident and heartwarming. I will admit that reading your followers emails made me very weepy! i have two Yorkies 14 and 16 – so it was special to read the emails and to know that we are not alone! Thank you to all! Our beautiful Boxer girl passed on on 21st December 2011. She had terminal mast cell, I’d nursed her hat home for 7 months and 3 days, no one thought she’d manage that long. We have fantastic vets, when we knew Saffron way dying we made the decision to bring her home and nurse her, for us quality of life will always come before quantity, so our vets knew that when things began to slide we’d take her in. I prayed every night that God would allow her just to sleep away, but that wasn’t to be. The morning of the 21st Dec started like any other day, by 3pm we knew it was to be Saffron’s final day on earth. With heavt hearts we took her in, we’d been so blessed, she’d been pain free all that time, we knew in our hearts it was her time, she did too. With a wag of her stumpy tail she entered the room, hope I wanted my vet to tell me I was over reacting but that wasn’t to be either. So with tenderness and caring we helped her, you see for 7 years she’d given us nothing but uncondidional love, it was time for us to repay her with the same. Carefully Pete prepared her with gentle hands, Saffron looked at us and then at Pete and she raised her paw and then lay down again,the look in her eyes said it all, it only took a few seconds, tears flowed in abundance. Saffron crossed the Rainbow Bridge with love and dignity, we all cried, my husband, myself and our vets too. We held her all the time, we love her more every day, the heavens are a brighter place now. As hard as it is, sometimes doing what’s right is the most painful thing in the world, I’m sure you know exactly what I mean. Euthanasia is one of the hardest decisions we as pet owners will ever face. I will never make that decision without consulting with the animal through an animal communicator! Some animals agree and will give you a signal when it’s time; others don’t, but what you see is not necessarily what they feel. If you can give them hospice care at home, then do it and cherish those last days. Give them what they want. Honoring them in this way may well bring you the greatest gift of your life. It did for me! I wish you’d have addressed cats too because they are so much more difficult to read. You can tell they’re not feeling their best, but have no idea if it’s normal aches and pain with age or severe and they are hiding it. Even if they have a serious illness, if they’re being treated and seem stable and bloodwork shows no change, they still can be degenerating. What I’ve found that really jerks my chain is that with the 2 cats I loved most (the dogs the vets seemed to treat quite differently) the vets kept talking me into keeping them alive with the hope that all could stabilize and they’ll regain quality of life. It was cruel. One ex. I had a 17yr old cat who was blind, deaf, high bp, kidney failure, skin cancer (a type that would lead to fatality), anemia,etc. When he “threw a clot” and couldn’t walk we took him in to finally escape this world. The vet actually tried to talk me into letting him stay there for 2 weeks because he might “come around”. Sickening. To think others might follow that advice thinking they’re doing what is best for their “baby” while the poor thing spends the last 2 weeks in a clinical environment, in a small cage with strange noises and little contact from the family who loved them so much. I wouldn’t wish that on anyone -it was deeply cruel heartbreaking. We’d seen about 7-8 vets in a 4 yr period that my 2 fav. cats were so ill. The only one I *really* liked, who seemed to care more for the animal, retired. The others were rediculous. One even suggested we consider a “kidney transplant” for a 20yr old cat who had liver cancer and recurrent pancreatitis w.cysts, diabetes, kidney failure, anemia, etc. Sad to say those 4 yrs scarred me. I no longer trust vets. Since then my animals do not see a vet until the condition is so severe that I take them in to be put down period. If it wasn’t for Doc Andy and the others like him in the world (assuming there are SOME), I would think the veterinarian world has become nothing more than a bunch of charletons who take advantage of those who are in agony (humans and their pets). I have always been an animal lover and have a small variety of domestic pets. This has largely been one or more dogs whom I am very fond of in general. I have more once had to make the decision to have a dog of mine euthanised and this has always been very tramautic and filled with grief for me. I appreciated the article of yours on this difficult but sometimes neccessary decision in that you wrote it clearly and concisely and broke the topic down into several various considerations. As such your article has helped me in that it has underlined that I have made the correct decision for the correct reasons in the past when I have chosen to have a beloved pet of mine euthanised. This is a very positive reflection and consideration for me. After a dog’s lifetime with me in which I have loved, cared for and much enjoyed that dog and it’s personality, it is very difficult and tramautic when it dies; when my dog’s death is via euthanasia this is even more traumatic – if that is possible, but it has felt just so. Excellent summary, Dr. Jones. As a fellow veterinarian, who does home hospice and in-home euthanasia in North Carolina, I am always discussing with families their pet’s quality of life, and if we can do anything to improve it in their final days. We discuss pain control, appetite, hydration, problems with elimination, mobility, and happiness. There is a lot to assess and address in the pet’s final weeks or days that can make saying goodbye a bit easier. The family who is well-informed will feel most at ease in making any final plans for their pets. Please make sure you involve a veterinarian in the process of home care. You know that someone who has been trained in veterinary medicine and has your pet’s best interests at heart will do a fine job of providing excellent care. I strongly recommend people look at http://inhomepeteuthanasia.com/ for in home pet hospice and euthanasia, and many states have Lap of Love Veterinary Hospice and In-Home Euthanasia http://www.LapofLove.com Dr.Dana@LapofLove.com. Also, using a Quality of Life Scale greatly assists families in giving their pet that final gift. Dr. Jones, As long-time owners struggling with (for us) a unique and difficult end-of-life situation (for a cat), I really want to thank you. My wife and I are making great use of your list. Unfortunately, I’m afraid our local veterinarians have been very aggressive pharmaceutically without more careful observation and without sharing such thoughtful questions with us. Thank you again, sincerely. Brandon in SF.